Tired of the uniformly banal taste and synthetic flavours of store-bought jams and preserves? Why not try some slow-brewed homemade, organic ones where raw fruits or vegetables have been transformed into something totally different while maintaining their essential taste. 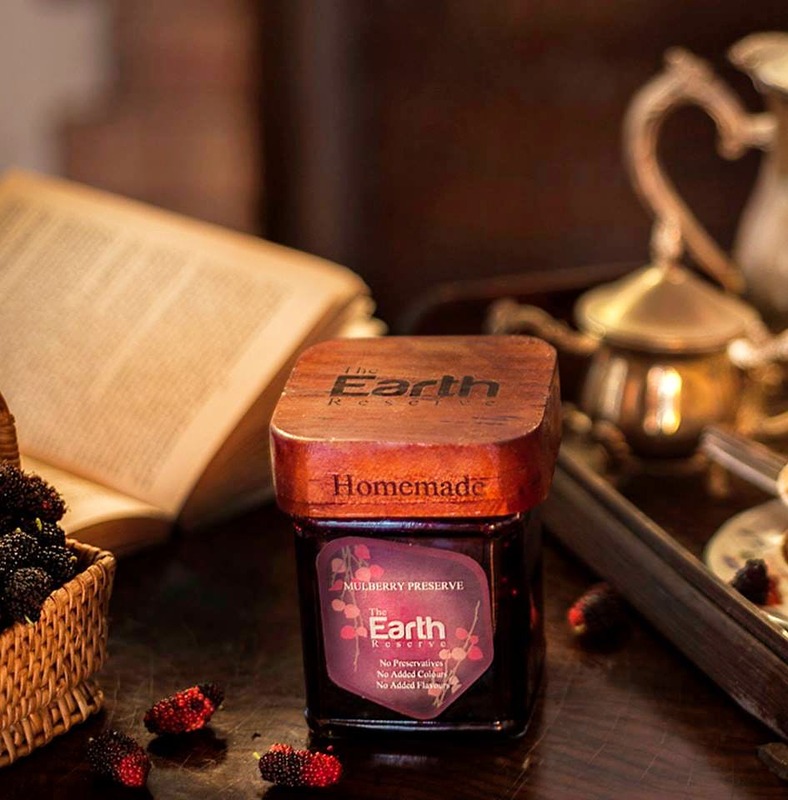 We picked up a few jars from The Earth Preserve and can't stop raving about them! It all started when one of the kids of Ramapuram family had a stomach ailment and got back on their feet with wholesome homemade food. Everything they had – even jams, preserves and juices was prepared at home. Which is when they decided to launch the label. They do not believe in mass manufacturing products and adding chemical additives to lengthen shelf life. Which is great because the latest scientific studies have shown that these chemicals can seriously harm you in the long run. Everything here is processed naturally to ensure that you get a product free of any chemical additives. And they don't use any plastic packaging. Everything is reusable or biodegradable. The vibrant homemade Papaya Citrus Jam is an enchanting medley of papayas that grow wild in the coffee estates of Coorg, and the tangy kick of oranges. The Mulberry Preserve is made with succulent wild mulberries scattered across coffee estates of Coorg. The Grape and Sweet Line Preserve with halved pieces of grapes and small sweet lime rind slices has a thick consistency and beautiful purple hue. We love the bird's eye chilli pickle made from Lovilovi plums and a chilli as small as the eye of a bird. Another good pick is the Pickled Root. Mango Ginger Rhizome Pickle. Growing in the lush backyard of a ‘tharavadu’ or ancestral home in the seaside town of Kozhikode in Kerala, is this curious root, locally called ‘manga inji’ or mango ginger. They also make natural butters like a salted jaggery one and a coffee butter. Prepared in the traditional manner, these natural, artisanal, homemade jams and preserves are slow cooked and packed with flavour. Apart from serving it with bread or toast, these jams could also be used as waffle, pancake or ice cream toppings! This jam can be used as a topping or filling, in baking and in desserts. You can use their products in s many different ways - liven up a burger, toss into salads, have it with all forms of rice, biryani or rotis, or lend a sweet and spicy kick to a parfait, and add flavour to a dip. The website gives suggestions for serving with each product. The prices are around INR 445 (300gms) and INR 150 to 275 (150gms). If you would you like to sell something that you made, and if it is free of chemical additives, let them know at info@theearthreserve.com.